Some three-and-a-half years since the near crash of the U.S. economy, an anger still simmers about the activities that led to our economic decline. The New York Times op-ed by the now former Goldman Sachs executive Greg Smith will certainly re-ignite those fiery, raw emotions. 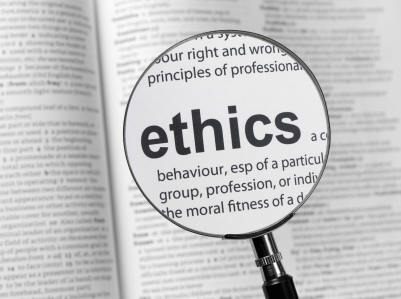 There is a discussion to be had about what is ethical behavior in the securities world. And many will question Mr. Smith himself – whether he was wise to share his concerns about his employer via one of the world’s most widely read newspapers. Certainly Smith’s revelations will set off a new discussion as to whether Wall Street has fully embraced the ‘Greed is good’ mentality that has been so corrosive to our nation’s financial health and identity. I hope newsrooms consider not just the financial services angle, but the overarching ethics angle to this story. Mr. Smith has put a face to a problem we see spreading across corporate America. ERC’s latest research shows that there is a historic decline in culture in all business sectors across the country. Just as Greg Smith described, two of the biggest drivers of culture are the tone at the top and the behavior of immediate supervisors. And as we reported in our 2011 National Business Ethics Survey®, 48% of US business employees told us that the tone coming from the top was not one of ethics. Further, 34% of employees do not believe their immediate supervisor cares about doing what is right. Those negative perceptions are on the rise over past years. Mr. Smith says the culture has changed for the worse at Goldman, and as it did, considerations like the suitability of products became less important than turning a profit. Similarly our NBES findings show that where there is a weak culture, there is also more misconduct. In our study, of those who indicated their culture was “weak,” 90 percent had observed violations of the law or company standards. While many people are asking how all this happened at Goldman Sachs, perhaps we should also be asking how this is still happening elsewhere. There is a very big story here about how our financial institutions handle the hopes and dreams we entrust to them. But don’t lose sight of the other story here – the leaders of our companies are not leading on ethics. This is another way to look at Greg Smith’s New York Times op-ed – as seen through Wordle.net (a website that generates “word clouds.” The clouds give greater prominence to words that appear more frequently in the source). 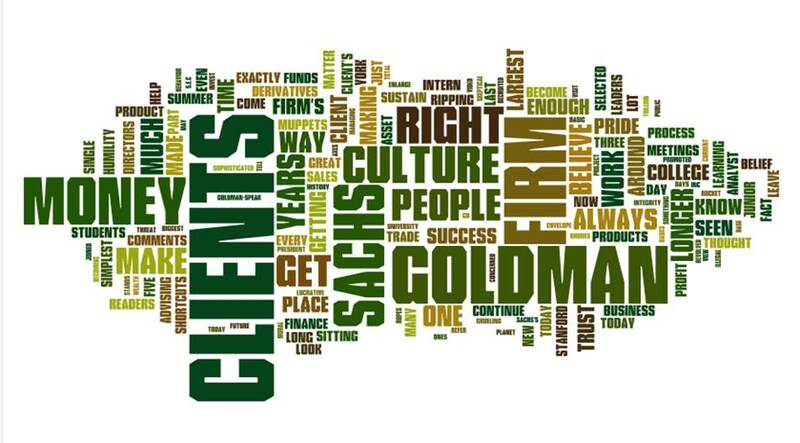 This shows what Smith discussed the most in his piece about why he left Goldman – clients, money and… culture. Patricia J. Harned is President of the Ethics Resource Center, a private, nonprofit organization devoted to independent research and the advancement of high ethical standards and practices in public and private institutions. Opinion: BP puts costs ahead of environment. Are we surprised?